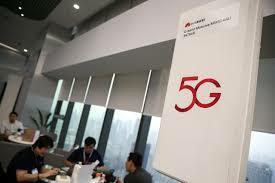 “Thailand 5G Test Bed” by using Huawei equipments even after the they have alleged to international scrutiny among fears puts them on on serious concerned whether the Thailand has concerned about the security or not. Read the blog to know what the Thailand’s views about it. Huawei, ZTE, Qualcomm etc are many others companies are partnering with different countries in testing new 5G technologies. Among them, Huawei is the one which faces problems in different part of the countries as US banned its equipment in using 5G network testing. The US urges their allies to not using even their 5G equipment while testing the new technology. Despite of this, the US oldest ally in Asia, Thailand joined their hand with Huawei and has launched a Huawei Technology 5G test bed on the last Friday. The United States have banned Huawai as the company has been facing increasing international scrutiny among fears that the China uses its product for spying. However, the company denies it by saying that it is still unfounded. Thailand’s cooperation with the Huawei on the test bed definitely clearly questioned them about the security. Pichet, during talking about the new 5G test bed at Kasetsart University’s Sriracha campus in Central Chonburi Province, said that the government is quite concerned about the allegations on Huawei. He added with his statement that, the companies like Nokia, Ericsson and Thai telecoms operators are also working at the same site for 5G technology. The Japanese telecom operators are also keen working for the 5G trial. These all are the just an effort onto making the commercial 5G services by 2020 in Thailand. US Embassy in Bangkok said the US “advocates for secure telecoms networks and supply chains that are free from suppliers subject to foreign government control or undue influence that poses risks of unauthorized access and malicious cyber activity”. Huawei has previously set up a US$22.5 million in Thailand’s EEC for the development of the country that has struggled to attract foreign investors beside the Chinese. They already have secured more than 30 commercial 5G agreements globally. Although, the Huawei’s representatives at the testing site were silent when asked about this matter.